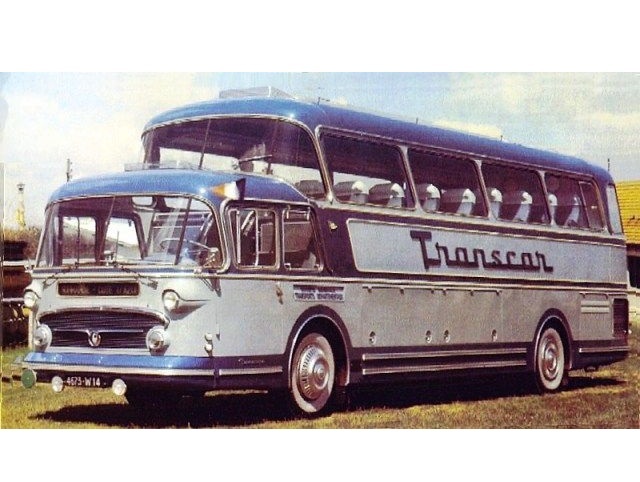 This coach caused a sensation in 1956 when it was first presented by Transcar, a bus transport firm. 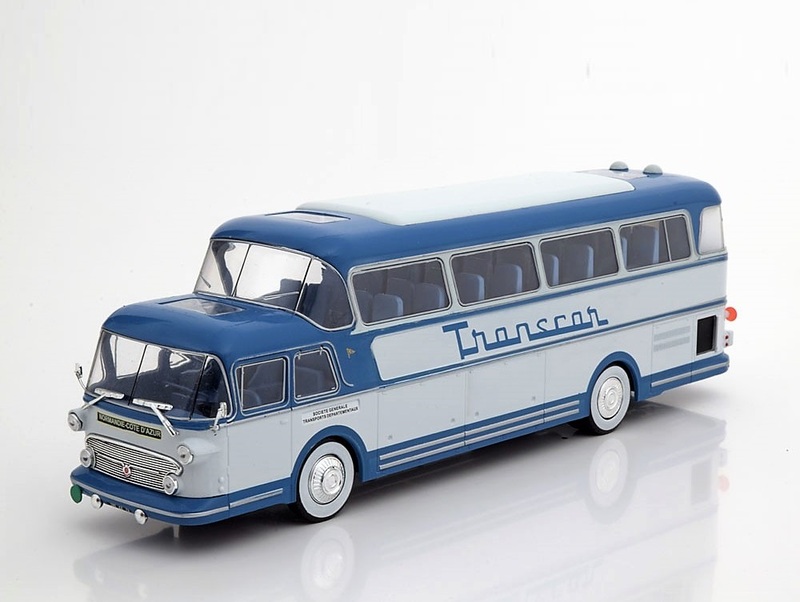 This 12 meter bus was built by Isobloc, the French bus manufacturer using a powerful 7 litre Hispano-Suiza engine. 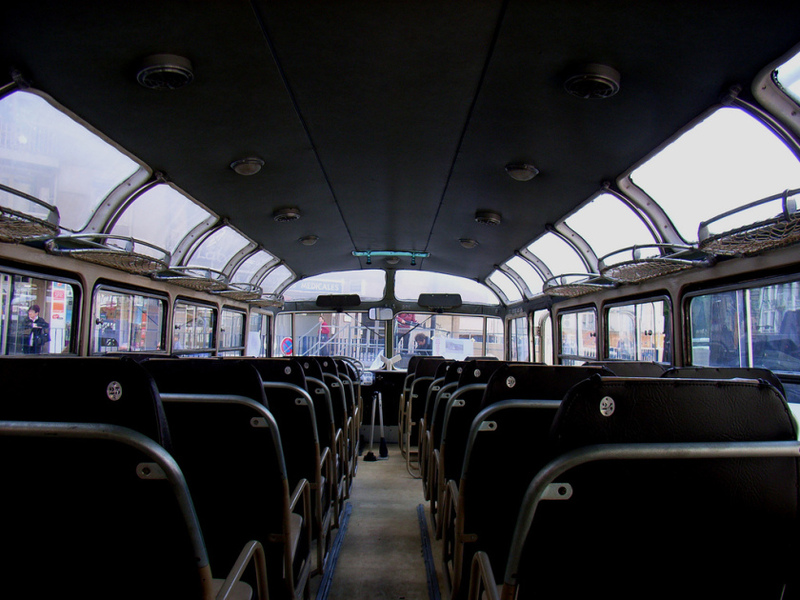 Called the Isobloc 656DH Panoramique, this model had 30 seats that were raised for better passenger visibility. 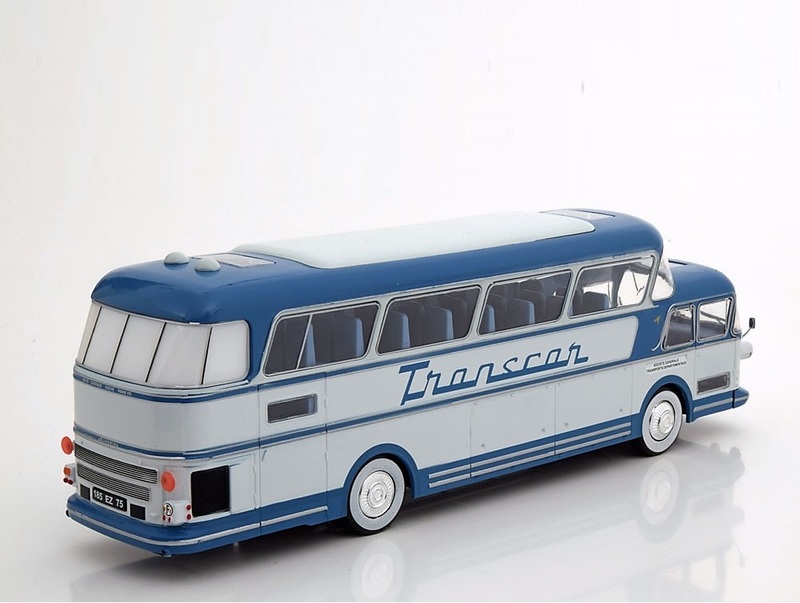 This bus had radio headsets, trolley service and even a washroom for the long journey from Normandy to various destinations.